Dependable dishwashing liquid fights grease, leaving pots, pans and dishes squeaky clean. Long lasting suds provide greater cleaning capacity with less sink changeover. 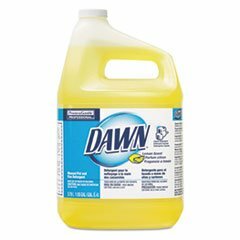 Application: Dishwashing Dirt Types: Dirt Food Grease Scent: Lemon Physical Form: Liquid.